Funny photo of politics, timemanagement and debates. Funny photo about politics, timemanagement & debates. 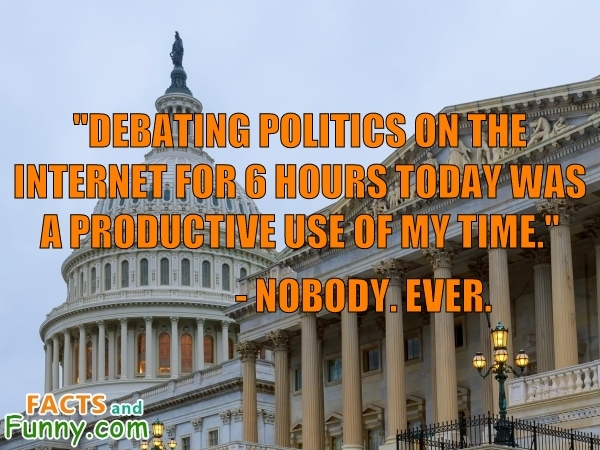 Debating politics on the internet for 6 hours today was a productive use of my time. - Nobody. Ever.